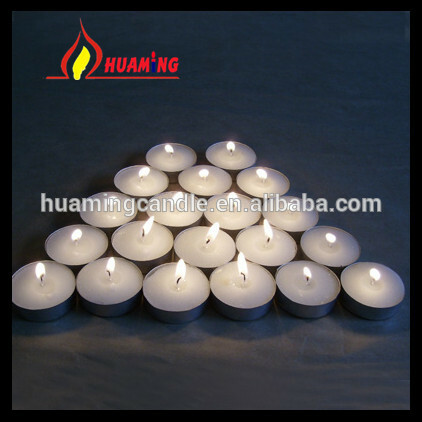 Shijiazhuang Huaming Laye Limited Company is a professional Tealight candle manufacturer and exporter, we are specialized in producing poured tealight candles, we can control the production schedule and ensure the quality of products. 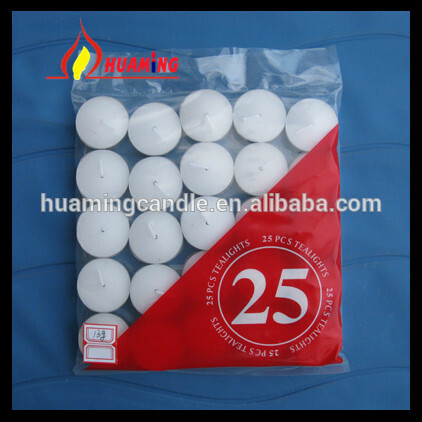 We offer all kinds of candles, such as Household Dinner Candles , Birthday Candles, Led Candles,Glass Candles,Decoration Art Candle and so on, and each candle has different colors to choose from.Packing can according to customer's need to customize. Q: What is the price of candles? size and quantity then a detailed quotation will be sent to you. 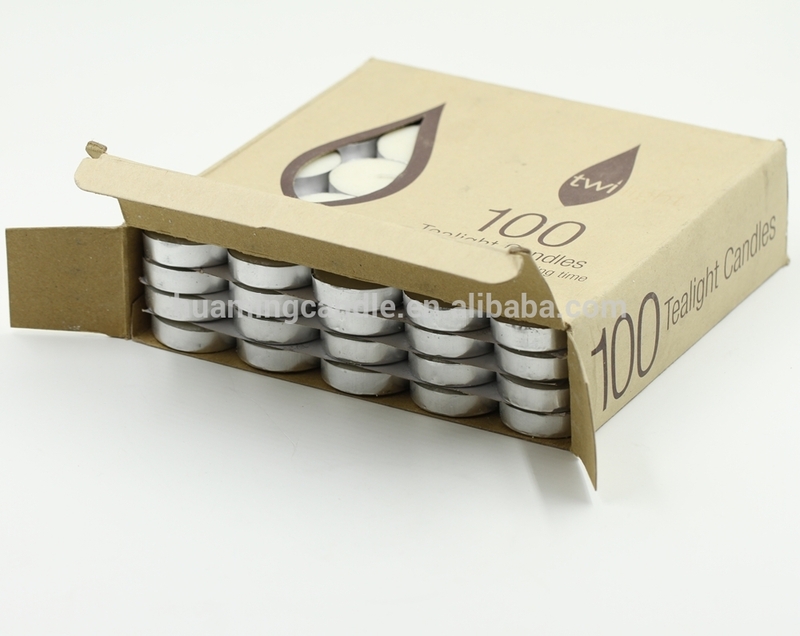 Q: Could I buy 1 pcs or 1 cartons as a sample or small order first? A:We are honored to send you samples for quality check. Especially for the new customers. Q;Could I put out logo the candles? A: Sure, if do your own logo, MOQ is 5000pcs. Q: How could I know your quality of candles? before it's packed for shipment. Q: Could we have other payment terms, such as paypal, cash or others? A: Yes, you can choose the payment term depends on the Quantity. 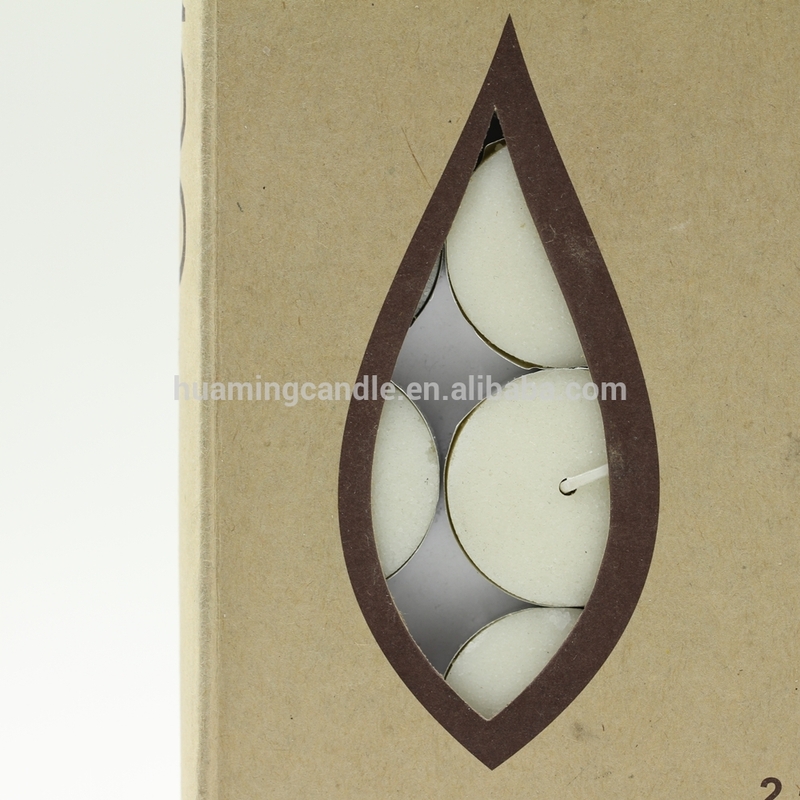 Looking for ideal White Tealight Candle Manufacturer & supplier ? We have a wide selection at great prices to help you get creative. 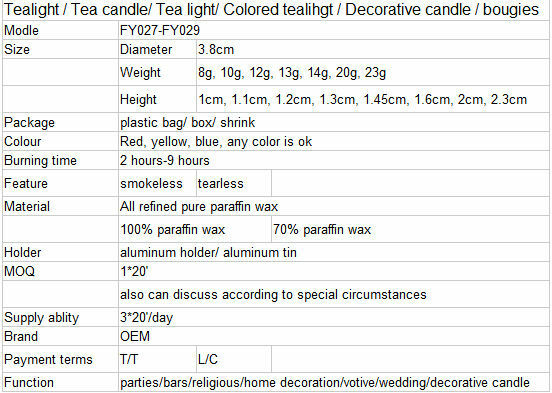 All the Poured Tealight Candle are quality guaranteed. 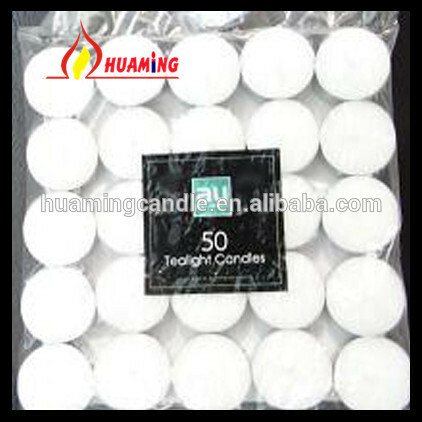 We are China Origin Factory of Mini Tealight Candle. If you have any question, please feel free to contact us.